We take pride in our strong academic reputation. The academic session begins in the month of April and ends in March. School closes in last week of March and reopens in first week of April. The school follows CBSE pattern and at +2 level Science and Commerce streams are available. Results in the past fifteen years have been 100% with more than 90% first divisions. Career counseling through in-house and guest faculty is an ongoing activity. 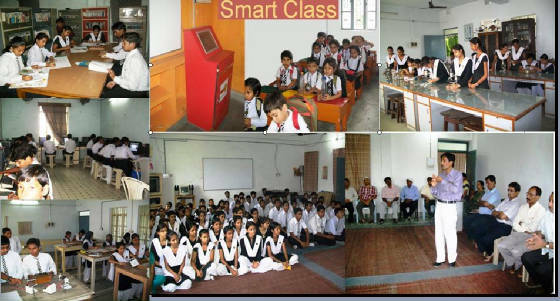 A well stocked Library; modern Laboratories; advance Computer education, Smart classes right from class 1; well equipped Multimedia centres having standalone machines at Junior and Senior level and all this backed up by the individual attention and personalized care of a learned academic and administrative staff have been instrumental in giving altogether a new dimension to the process of learning.